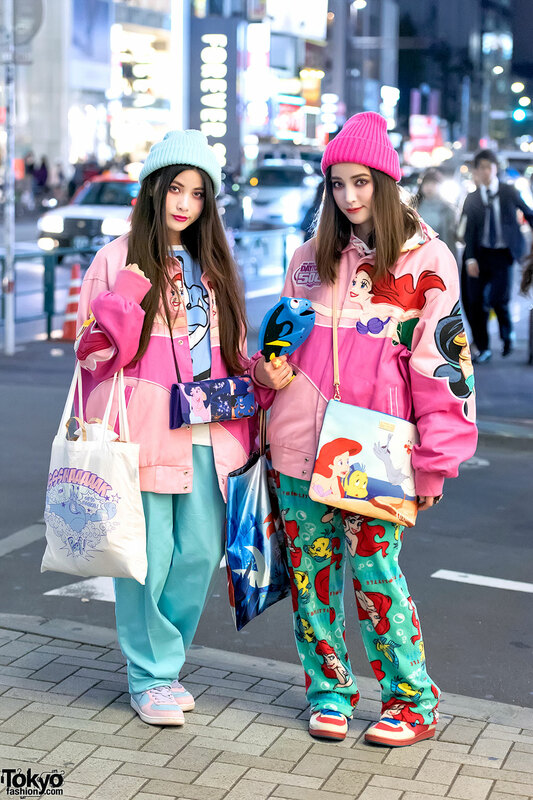 Vintage-loving Japanese twin sisters on the street in Harajuku with cute short hair, Kenzo, and G.V.G.V. fashion. Cute and stylish twin sisters Nari & Naru wearing suspenders, Dr. Martens, and resale fashion on the street in Harajuku.